BRAND NEW TOWN HOME STYLE ATTACHED HOMES. Well designed with high-end upgrades. 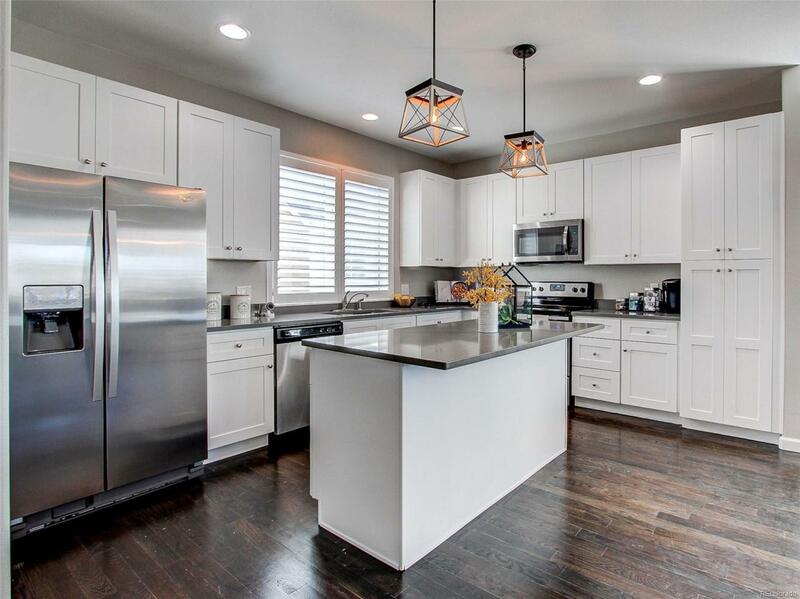 Imagine yourself entertaining in this gourmet kitchen gorgeous 42-inch soft close cabinets, stainless appliance package, under-mount sink with a pantry to hold all of your goodies from Costco. Plenty of room to spread out watching the game or even spill out onto the deck off of main living area. Upstairs boasts a true master suite including a 5-piece bath, walk in master closets, and most homes come with a private master balcony. Brushed nickel accents and lighting fixtures throughout with tile bathrooms and kitchen provide timeless designs. GREAT LOCATION, 20 minutes to downtown Denver, 15 minutes to DIA. QUICK CLOSE AND MOVE IN AVAILABLE! Come visit the Model Showroom on the corner of 112th and Florence building 6, unit D. ****MLS listing is for Antero floorplan. Photos are of the model. Please contact our team directly for availability, upgrades, and pricing on specific homes.